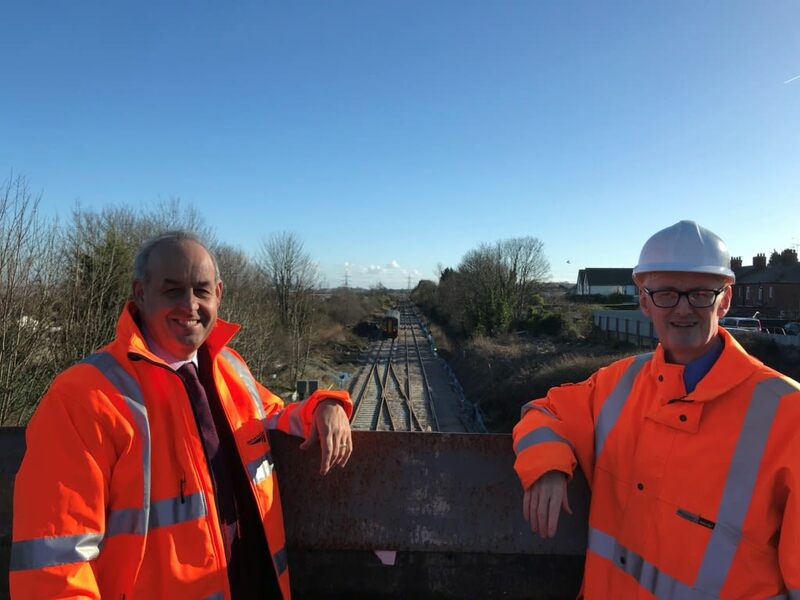 Today I visited the rail upgrade works that have taken place in Flint to the North Wales mainline. The investments to the North Wales mainline are worth £50 million and will see modern signalling incorporated into the line. The old signals dated back to the Victorian era. The new signals will dramatically improve the efficiency of the line and reduce delays. Not only have the signals been updated but new track has been laid along the line which will enable trains heading either eastbound or westbound to change onto the opposite line. This is much needed as if a train breaks down on the line currently there is no way to go around it. Instead it has to be removed before trains can use the line again. These upgrades are in their final seven weeks and will be completed by March. They will improve the reliability of the signals and the resilience of the line if a train breaks down. This scheme was funded by the UK Department for Transport. The investment of £50m into the North Wales mainline is much needed and welcomed. The new signals will mean that our train track is now in the 21st century. When the work is completed in March 2018 it will mean that we have a more reliable and resilient if a train breaks down. There is still much more that needs to be done to ensure that we have access to a decent railway. I’m still pressing for electrification of the whole line and Delyn is still only served by one stop, Flint. We need to ensure that more communities can use the railways and connect them with people wishing to holiday or work in our towns and villages. The North Wales Growth Deal is still to be settled and I will be working with my colleagues to ensure that funding for infrastructure investment is at its core.